Whimsy Stamps Rubber Stamp DT Call ! I have am very excited and have decided to make some cards and apply for the Whimsy Stamps rubber stamp DT, it is an open design team call. I have been on the whimsy digital stamp team and have loved ever single minute of it, so I thought that I would try out for the rubber stamp DT. 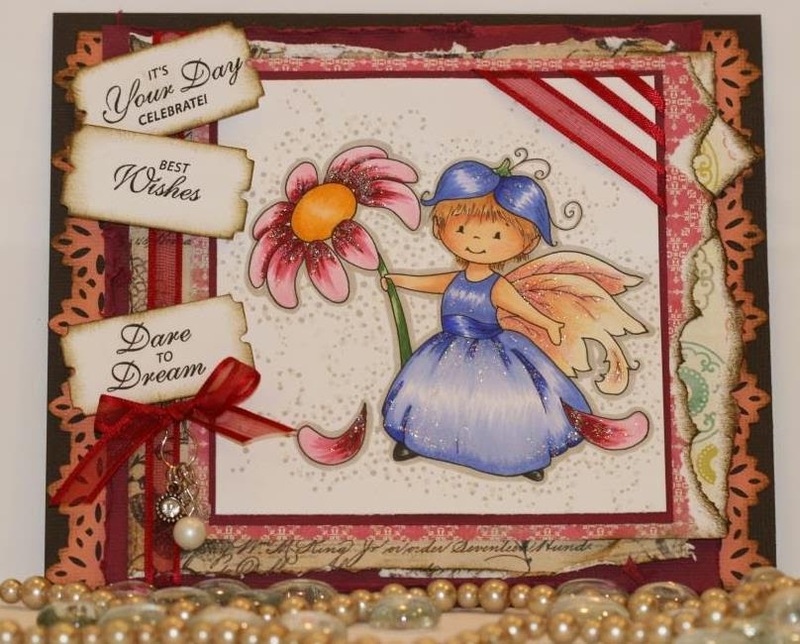 I have always loved working with Whimsy stamps and dies. 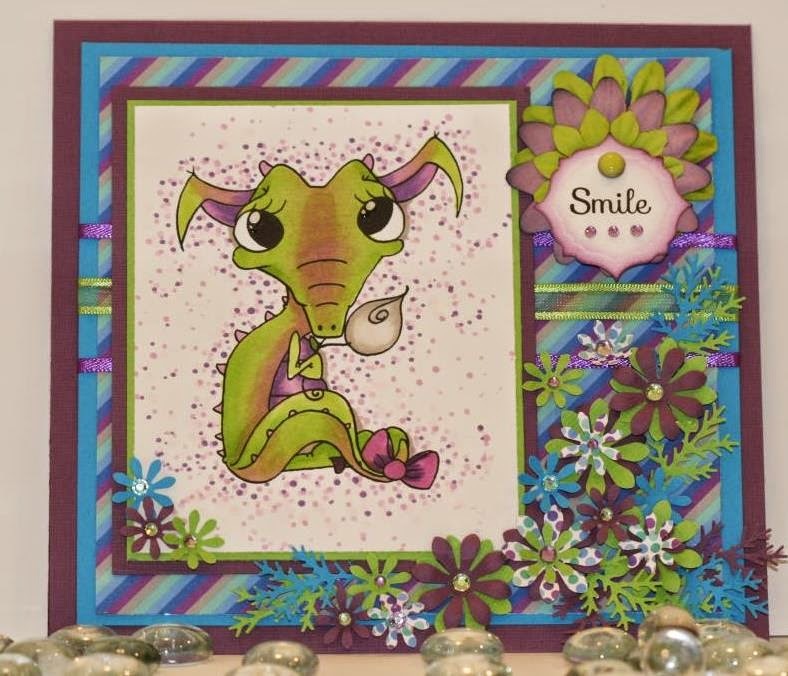 The designers have so many versatile images that fit into any card theme that you could ask for and the dies are wonderful and easy to work with. I am applying for the rubber stamp team to try an new avenue for me to work with, as I haven't ever been on a rubber stamp team. I love the helpfulness you get from everyone on the digital team and would love a chance to work with the people on the rubber and die team. Supplies: Bazzill cardstock, Doodlebug patterened paper, Whimsy Stamps Everyday moments sentiment, Spellbinders Labels Thirty two, Martha Stewart branch punch, miscellaneous flower punch, Kaiser gems, MME brad. 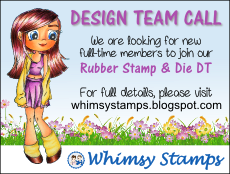 I wish everyone who applies for this DT the very best of luck, cause I do know first hand how wonderful Whimsy Stamps Design team can be and truly hope that they will accept me on their rubber stamp and die design team. Beautiful cards Charlene! Thanks so much for entering the DT call. WELL Charlene I hope they add you as you are a faithful servant...omgosh your talent for the digital side is and has been amazing...so my fingers are crossed for you...please if any of the DT's are reading this..pick Charlene you won't be disappointed...she is awesome! Cheers! awww, thank you for using Shy Dragon! So cute :) I sure miss working with the Whimsy team.